What do hydrographic surveys ― the scientific measurement and description of physical features at the bottom of bodies of water ― have to do with the U.S. Army Corps of Engineers and marine construction? In a word, plenty. 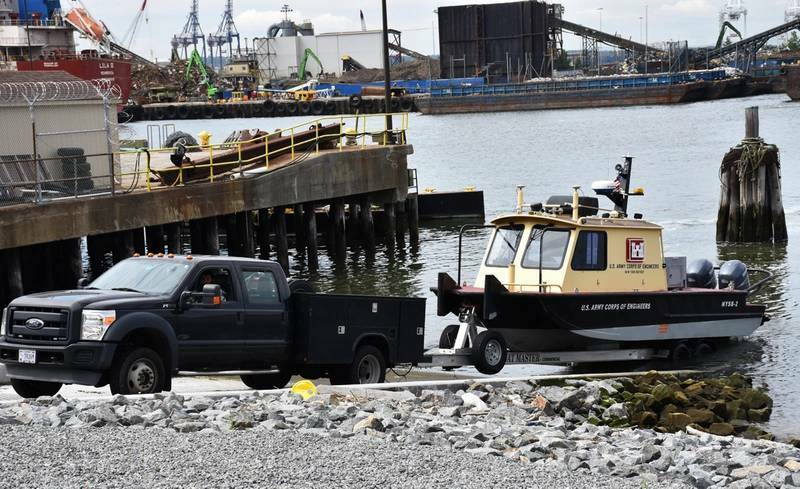 Francis Postiglione, chief of the New York District's Survey Section, Operation's Division, said, "Surveying is at the root of all projects in coastal and inland waterways," adding, "Surveying also plays a large role during the bidding process and awarding of contracts, especially with estimating costs." Hydrographic surveys are important because they: a) provide data to the public allowing safe navigation entering and exiting ports and harbors; b) support channel dredging and marine construction by providing information to develop construction plans; and c) provide additional data during construction about under-water progress, helping ensure work is performed as per contract terms. Many skilled professionals are needed to execute this mission. A class of 34 survey and cartographic technicians (study and prepare maps) from Army Corps of Engineers' Districts received five days of intensive instruction in navigation, dredging, surveying, coastal engineering and inland waterways as they relate to marine construction and dredging. Hydrographic Surveys was one of the original PROSPECT courses offered by the Corps of Engineers' Learning Center in the 1970s. 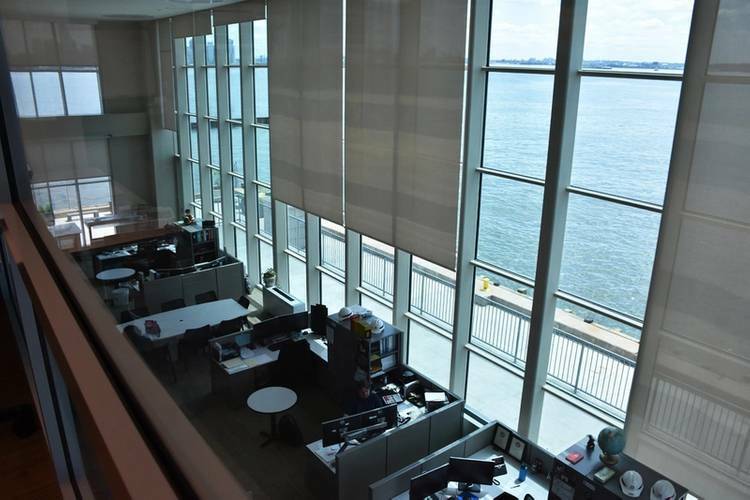 The training area itself, with floor-to-ceiling windows providing panoramic views of New York-New Jersey Harbor and the New York City skyline, provides the backdrop for a unique learning experience. Equipped with four large-screen monitors for presentations and seating for 50, the room can be divided to accommodate two classes taught simultaneously. The training area also serves as an Emergency Operations Center should New York headquarters (in Manhattan) become inaccessible. New York Commander and District Engineer Col. Thomas D. Asbery said, "New York now has a first-class training facility to provide quality instruction to Corps of Engineers' employees," adding, "It will soon take on a larger role providing courses in a variety of subject areas." Attendees also received outdoor instruction. Students broke into small groups and moved through six work stations around the terminal and aboard survey vessels on the water: learning about the configuration and mounting of equipment on survey vessels; an overview of cartography (drawing maps); and Global Positioning Systems, among others. On the final two days, subject-matter experts from the Army Geospatial Center in Fort Belvoir, Va., also conducted briefings on charting inland rivers and Bathymetric Lidar ― water-penetrating green light to measure seafloor and riverbed elevations. Feedback was positive. 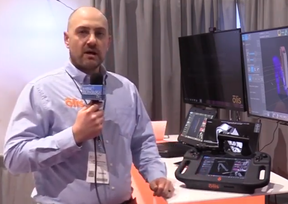 John Mraz, deputy chief, Survey Section, Operations Division, said, "Students were overwhelmingly impressed with Survey Section capabilities and expertise," adding, "Many commented this was the best PROSPECT class they have ever attended." During an interview he also noted, "We can bring in people, make them better at what they do, and send them back to help their Districts." In the U.S. alone, the Army Corps of Engineers maintains 25,000 miles of navigation channels and 400 ports. Of the 100 staff at New York's Caven Point Marine Terminal, more than a third are involved in some aspect of surveys. The District also operates a fleet of eight survey vessels using a new boat ramp permitting launching and retrieving during all points in the tide cycle.